These truffles are designated "brushed" which literally means they have been carefully cleaned and brushed, and are ready to use. Tuber Aestivum (Black Summer). Available May to August. 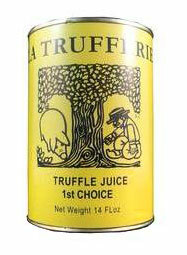 Resemble the Winter Truffles a lot, but are usually bigger and tougher. They are best used fresh. Black Truffles are also usually cheaper than the White because of their durability. Both can be preserved in oil or be frozen. Although less strongly flavored than the winter truffles, these are regarded as a fine dish ingredient by many truffle enthusiasts. Italian Black Truffles ( Tuber Melanosporum Vitt. ) prserved in water and salt. shelf life of 6 months. Italian Black summer truffles ( Tuber Aestivum vitt. ) sliced in oil. Winter Black Truffle (Tuber Indicum). Premium Quality. peelings are perfect ingredient to enhance the flavor of soups, pastas and other dishes. The extract is taken from the Black Truffle -T. Melanosporum Vitt- the first time It is cooked. Ingredients: Black Summer Truffles (Tuber Melanosporum Vitt.) Juice, Water, Salt. A concentrated product, uniquely made by finely grating Tuber Melanosporum and adding extra virgin olive oil. A concentrated product, uniquely made by finely grating Tuber Aestivum vitt. and adding extra virgin olive oil.